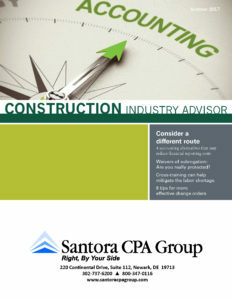 Consider a different route … 4 accounting alternatives that may reduce financial reporting costs. Waivers of subrogation: Are you really protected? Cross-training can help mitigate the labor shortage. 6 tips for more effective change orders.